HF: Bill Burns runs a fascinating and detailed website about the history of submarine communication cables (linked at the end of this article). He has kindly sent four maps related to the worldwide network of such cables in 1991 and 1991. Two of the maps are centred on Hong Kong. 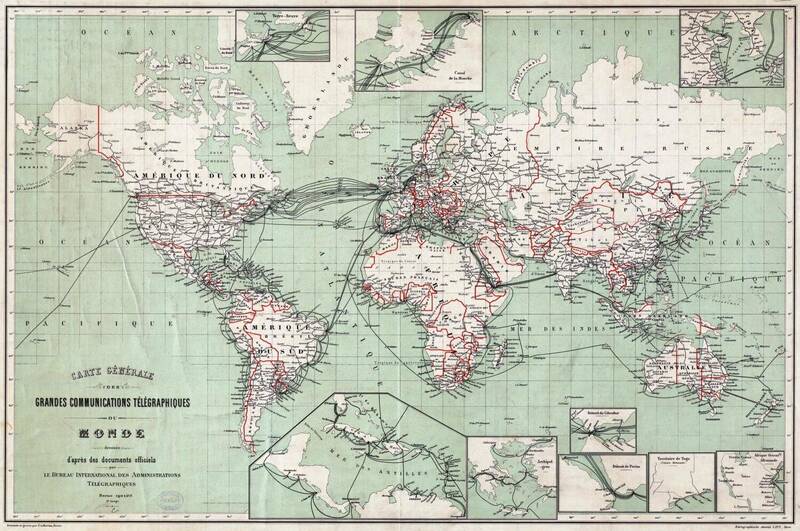 The first is a 1901 World Map of “Grandes Communications Telegraphiques”. The second shows an extract from the same map and centred on Hong Kong. 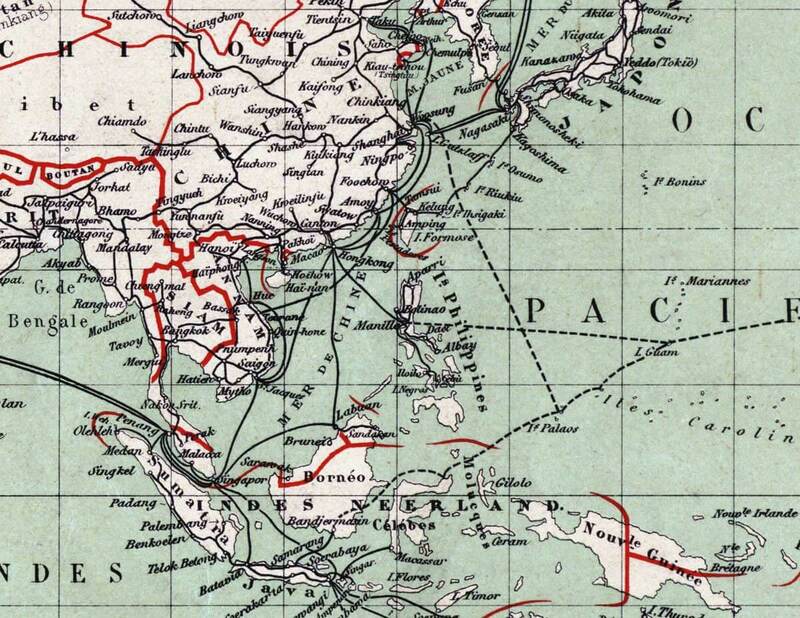 In 1901 HK was directly linked by submarine cable to seven places: Macao, Canton, Amoy, Foochow, Manila, Labuan (an island off the northern coast of Borneo) and Saigon. And of course from those places on to numerous other places worldwide. 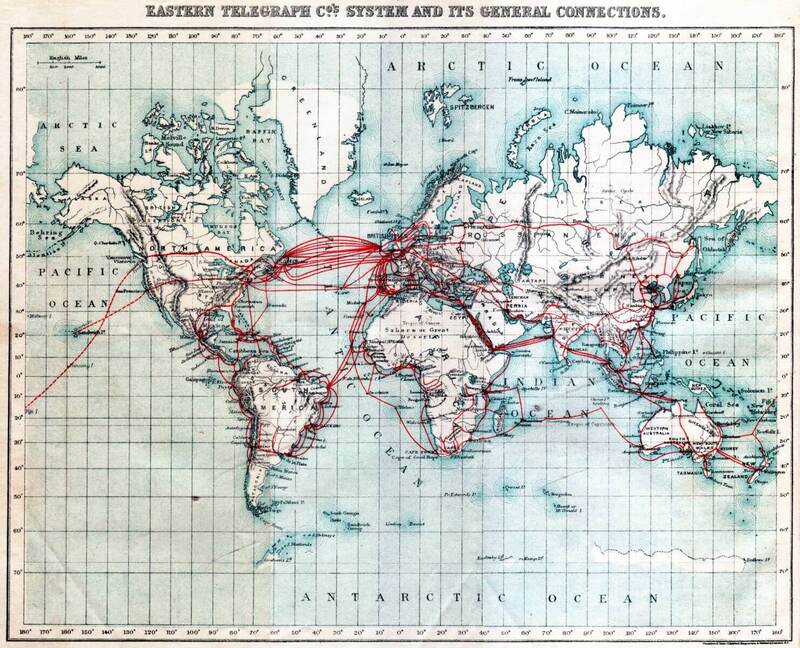 The third map also from 1901 shows the “Eastern Telegraph Company System and its General Connections”. I’ll cross-reference that page to this one, as well.